Clear Braces or No Braces? Extractions or No Extractions? Some topics of key concern to parents or guardians are summarised here. The Australian Society of Orthodontics recommends a first assessment by a registered specialist orthodontist at age six or seven, as this is when the first adult teeth typically appear and when developmental problems may occur. Treatment for young children is usually aimed at dealing with functional problems that immediately threaten the health of teeth. A proactive approach may eliminate or simplify any later need for orthodontic treatment. The conditions that we treat in early childhood are problems of tooth eruption, cross-bites, severe overcrowding, jaw growth problems, snoring and thumb sucking. The most common question we are asked is in relation to the necessity of a tooth extraction. Some orthodontists and general dentists claim to use “new orthopaedic” methods and appliances for treating crooked teeth without the need for an extraction. 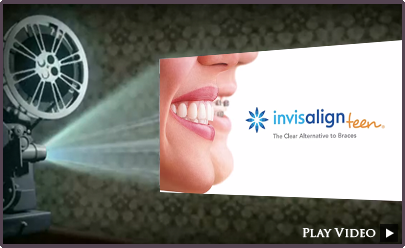 These are marketed as better than “traditional orthodontics” for facial aesthetics. 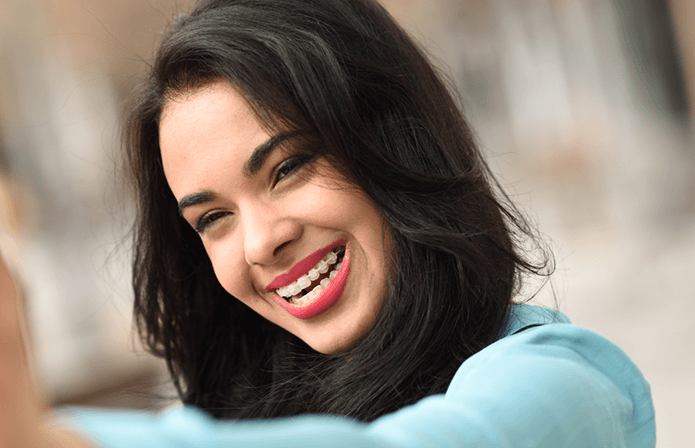 Our specialist orthodontists also offer such methods and appliances, but in some cases of overcrowding, the best results depend on creating additional space via the extraction of one or several teeth. We will consult with you on the available options and will tailor a plan to suit your expectations and your child’s biological needs. When a primary tooth is lost prematurely (usually due to decay), adjacent teeth may drift into the space and leave insufficient room for proper alignment of the developing permanent teeth. Our specialist paediatric dentist and specialist orthodontists will advise you as to whether a space-maintaining device is necessary. Space maintainers can be fixed or removable, depending on the individual case. If dental crowding is noted in a young child, removable orthopaedic plates can be utilised from the age of six to eight years. To expand the arches or maintain premolar spaces and avoid the need for later extractions, orthodontic braces may follow. Early intervention is usually achieved with simple removable appliances, but treatment is often continued until all the teeth have erupted. Fixed braces are then used to complete the alignment. Childhood snoring is a possible sign of partial airway obstruction and is a potentially serious problem that can affect a child’s daytime mood, educational development and facial development. Occasionally, the problem is due to narrowness of the upper jaw. Early expansion may help to improve nasal airflow and restore normal sleeping patterns. We work in conjunction with ENT (ear, nose and throat) specialists and a children’s sleep specialist to provide orthodontic care for children with snoring problems. In some children, a growth imbalance between the top and bottom jaws (the maxilla and the mandible) makes it impossible to bite correctly. This is often an inherited problem. To compensate, expansion of either jaw and promoting forward growth can be useful. Recent studies have indicated that early intervention at the age of six to eight years can be advantageous. Smile Solutions’ specialist orthodontists work in conjunction with our oral & maxillofacial surgeons – Dr Patrishia Bordbar and Dr Ricky Kumar – in the effective dental management of children with jaw problems who may also require orthognathic surgery. Clear external braces have come a long way. With conventional external braces the brackets are mounted on the front of the tooth surfaces. traditional braces, usually made from stainless steel, sometimes in combination with nickel titanium. At Smile Solutions we use Empower braces in both stainless steel and clear. This option usually eliminates the need for elastic or metal module “ties” to hold the wire in place. This makes them discreet, comfortable and easy to keep clean. Having braces without elastic ties can reduce the amount of plaque that is usually attracted to the elastic, making dental hygiene easier during orthodontic treatment and resulting in fresher breath. 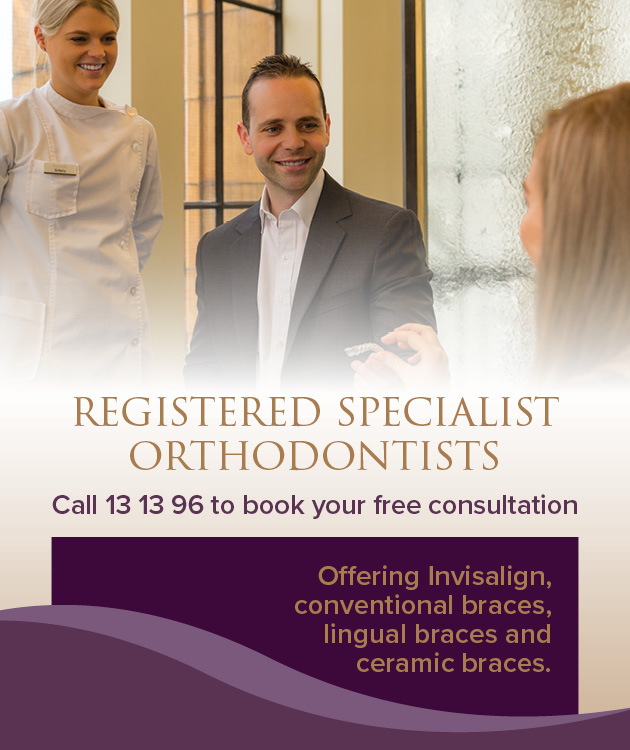 What does orthodontic treatment with conventional braces cost? 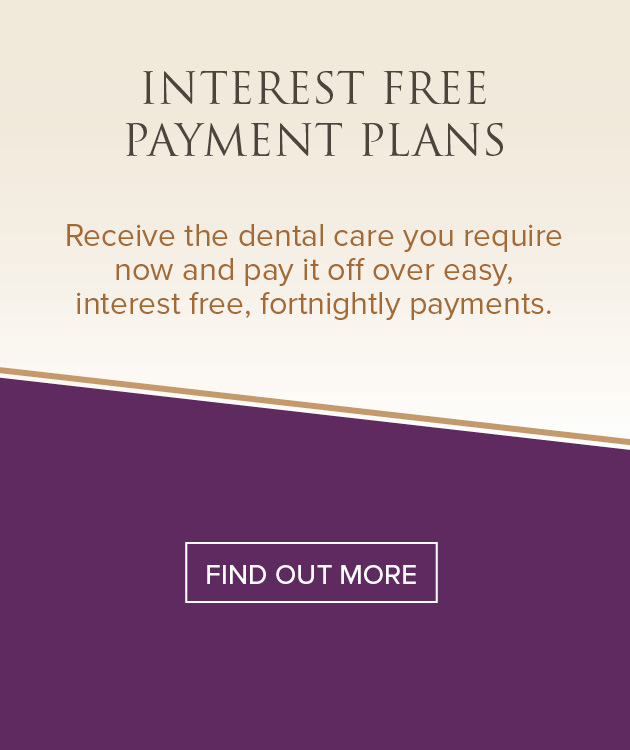 The cost of your orthodontic treatment will be determined after a consultation with an orthodontist. The average cost for conventional braces starts at $6,500 for both arches. Treatment complexity and subsequent costs can vary greatly among individuals, so please call us to arrange a consultation. It is normal to experience slight discomfort when your braces are first fitted. This varies from individual to individual. We use very light wires to gently guide your teeth to their ideal position. Patients generally experience very little discomfort throughout their treatment. Empower braces are different from regular braces in that the brackets used to keep the arch wire in place do not require elastic module “ties”. This means that adjustment visits can be less time consuming. Is it easy to keep your teeth clean with Empower braces? Yes, as well as being comfortable, Empower braces let you maintain a high standard of oral hygiene. The elastic ties used with traditional fixed braces often attract and collect plaque, which can be difficult to remove by cleaning at home. Empower braces make maintaining oral hygiene much easier during the course of your treatment.